To ease the psychological burdens of imprisonment, the planners at Halden spent roughly $1 million on paintings, photography and light installations. 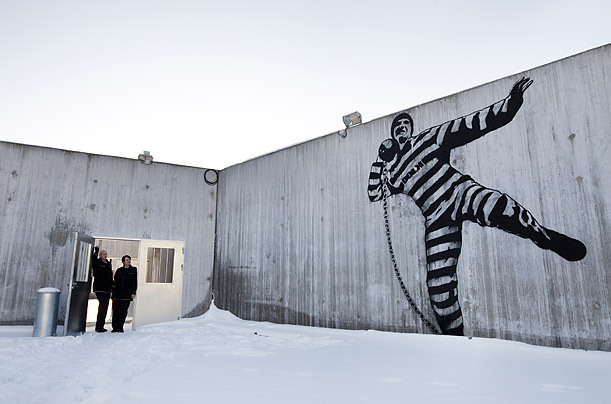 According to a prison informational pamphlet, this mural by Norwegian graffiti artist Dolk "brings a touch of humor to a rather controlled space." Officials hope the art  along with creative outlets like drawing classes and wood workshops  will give inmates "a sense of being taken seriously." Photo taken 2010.